The Ardent Writer Press welcomes accomplished author and academic Anne G. Rutledge with her memoir, Granddaughter of a Runaway Slave Boy, a family’s trials and success through education, love, and perseverance. Anne G. Rutledge was born January 6, 1921 in Chilton County, in North Alabama. She became a graphic artist, teacher, poet, and biographer. She earned a Bachelor’s, Master’s, and Educational Specialist degrees from Alabama State College, Tuskegee Institute, and Alabama A&M University respectively. In 1986, she retired from Alabama A&M University, Huntsville, Alabama where she taught history and political science. Her father thought that, an education beyond elementary or high school level for females was a waste. His opinion was considered pragmatic and it also coincided with the prevailing perception of many during that time and well into the future; women were only meant to serve in the role of house wives and the mother to children. Her aspirations and achievements stretched far beyond these restrictions. 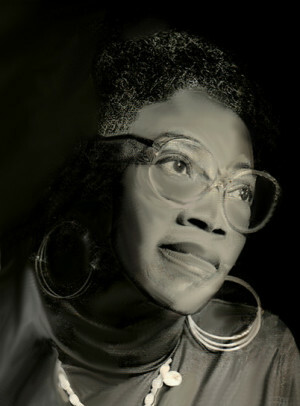 Ms. Rutledge’s poems and essays have appeared in numerous journals, books, and anthologies including her published books, Double the Pleasure 1988, A Strand in the Web 2003, Pieces of Myself, 2012. Her newspaper and magazine credits include the Alalitcom (Alabama Writers Conclave), the Birmingham World, Liberal Religious Education, and Morena: Women of Color Empowering Our Communities. The latest published book (2014) is a biography of her mentor, Emory O. Jackson. In 1977, Rutledge received a Fulbright-Hays grant for Cross Cultural Study in Pakistan, a Ruth Hindman Continuing Education Fellowship, and Montgomery Cliff award for community service. In 1997, she won the Outstanding Alabama Artist award in recognition of contributions to the literary arts. Anne G. Rutledge continues to live an active life in Huntsville, Alabama. The experiences of our daily life encompass all ingredients of and entities of enlightenment. Anne G. Rutledge’s book of poems Pieces of Myself, shares from personal experience, some of the aspects that demonstrate the truth of this axiom. Many of her experiences in life motivated her pen to paint images in lively poetic verse lessons from scenarios that sometimes brought joy, humor, heartache, or sheer vexation. Others who delighted in her words, commissioned her to capture for them, with pen and paper, the sentiment they wanted a depiction of their personally experienced joys and sorrows as well. Because truth is oftentimes stranger than fiction, no subject was out of the realm of focus, be it birth, death, sickness or health, love or loss, or monumental political feats. Sometimes, either of these needs a little honey smeared to make their medicines easier to swallow. Emory O. Jackson was the managing editor of his hometown newspaper The Birmingham World of Birmingham, Alabama. He was also a civil rights pioneer and advocate for the down trodden and mistreated African American race in his hometown as well as throughout the state of Alabama. He was a journalist who took his craft of informing the public seriously in that he provided the news of the day to all who would seek it. He shared its significance to life and the times for his people, and provoked and prodded them to take actions that would improve their conditions. He pummeled the perpetrators of extremely vigilant race hating actions; among them, those who were legislators, law makers, as well as enforcers of the discriminatory laws that stripped African Americans of due process of the law and the right to receive equal rights in the state of Alabama. Because Anne Rutledge knew Mr. Jackson well, she provides a different view of the heart of the man Emory O. Jackson. Rutledge highly respected her friend and his valiant contributions to the world. Infused in his story, she shared a glimpse into how his valiant work that gave his life breath and meaning as well as showed how the work he chose took its toll on his happiness and feeling of worth and achievement.